Today’s security and compliance environment is challenging, and no single vendor can solve the entire problem for you. CyberArk understands this, which is why we’ve created a powerful ecosystem of technology and channel partners that can provide you with a complete solution for your privileged access security and compliance requirements. Protecting high value assets and data in an increasingly complex environment requires high levels of innovation and collaboration to defend against evolving, increasingly damaging attacks. By proactively and holistically addressing internal and external threats, the C3 Alliance provides integrated solutions to reduce risk and improve compliance. The C3 Alliance pre-integrated, certified and supported solutions include offerings from enterprise software, infrastructure, and security providers. 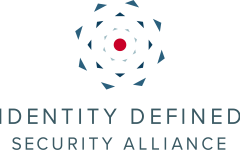 CyberArk is a proud member of the IDSA; a community to bring the security industry a forum for thought leadership, customer validation and education, industry supported use cases and a technology showcase, that supports redefining the approach to cyber security. CyberArk has built an enviable channel partner community to help customers around the world secure and manage their privileged accounts. Our channel business partners are the cornerstone to our success and CyberArk is committed to building and nurturing strong, mutually beneficial and important partnerships around the globe. Our community focuses on bringing together the strengths of advisory consultants, global systems integrators and regional solution providers, to help customers in their quest for privileged account security protection from today’s cyber security threats in all disciplines, including; finance, legal, pharmaceuticals and government. Partnering with CyberArk will provide you with technical guidance, sales alignment and enablement, together with competitive financial rewards through programs like deal registration and value-add technical contributions. CyberArk understands the importance of certified training for our channel and enablement forms a critical part of our global partner program. We also have a variety of training available for customers. You have various options on how your sales and technical staff can learn, these include; self-paced online via our Partner Community, virtual classroom or face-to-face classroom training. Technical Staff: Our technical content is available in a variety of formats, including; online self-paced through Partner Community, virtual classroom (VCT) or live classroom. Sales Staff: Our sales content is available online as a self-paced curriculum, this consists of five modules + exam and takes approximately three hours to complete. This training is for partners only and can be accessed via our Partner Community. All of our technical training class schedules for virtual classroom (VCT) and live classroom can be viewed here. In addition, our self-paced online training for sales and technical is available through the Partner Community. To Register for a CyberArk Partner Community Account please click here.